Reckless driving is gross misdemeanor. It is punishable by up to 364 days in jail and a $5,000 fine. However, there is no mandatory jail term or a fine. So a person convicted of Reckless Driving, with the right Reckless Driving Attorney on their side, may not serve any jail time. In addition, there is a mandatory license suspension. Evidence of drug use and/or consumption of alcohol is relevant to proving the charge. According to Washington State statute, certain evidence establish prima facie evidence of Reckless Driving. For example, embracing another while driving establishes reckless driving. The charge is often brought on evidence of speed alone. However, a good Reckless Driving attorney in Seattle will tell you that speed alone is not sufficient to uphold a conviction for the charge. Reckless Driving is the same level of offense as DUI. They are both gross misdemeanors and are punishable by up to 364 days in jail and a $5,000 fine. However, many drivers prefer RD over DUI. Unlike a DUI, a conviction for RD, does not come with a mandatory jail time or fine. Whereas a conviction for DUI with land a driver in jail for at 24 hours. In addition, a license suspension for Reckless Driving is significantly lower than it is for DUI. Lastly, the maximum probation period is much lower than it is for DUI. 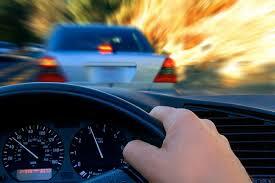 The maximum probation period for Reckless Driving is 2 years compared to 5 years for a DUI conviction. Even though this charge is lower than DUI, it is still a serous charge and you would be wise to speak to a Reckless Driving attorney in Seattle. We offer free initial consultations for people facing criminal offenses in Washington State. Our number is (206) 771-4343. Our firm handles Reckless Driving charges outside of Seattle as well. In King County we defend clients in Mercer Island, Kirkland, Bellevue, Redmond, Sammamish, Issaquah, Renton, Kent, and Auburn. In Snohomish County we defend clients in Everett, Lynnwood, Bothell, and Mill Creek.